Use Samsung Notes to write and save notes on your device. You can create notes using the Samsung Notes app. From a Home screen, tap Apps > Samsung Notes. • Text: Use the keyboard to type text. • Pen: Use the S Pen to write text. • Brush: Create a drawing. • Image: Insert an image into the note. • Voice: Use your voice to insert text into the note. 3. Tap Save when finished. 1. From a Home screen, tap Apps >Samsung Notes. 2. Tap a note to view it. 3. Tap the content and make edits. 4. When you are finished, tap Save. 1. S Pen Action Memo : Write memos quickly and link actions to them. You can make calls, send messages, search the web, and more. Refer to Action memo for more information. 2. S Pen Smart Select : Collect content quickly. Refer to Smart Select for more information. 3. S Pen Screen write : Capture, edit, and write memos on screenshots, and then share them. Refer to Screen write for more information. 4. S Pen S Note : Launch S Note to create notes. Refer to S Note for more information. 5. 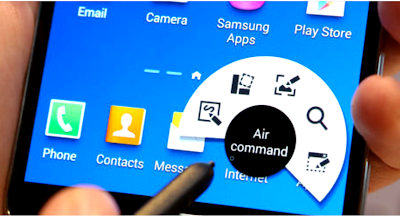 S Pen Add shortcuts : Add shortcuts to frequently used apps to the Air command panel. Refer to Add shortcuts for more information. When you remove the S Pen Manual from the slot, the device launches Action memo or displays the air command features depending on the Manual S Pen detachment option setting. Do not press the nib excessively when inserting the S Pen nib into the S Pen. 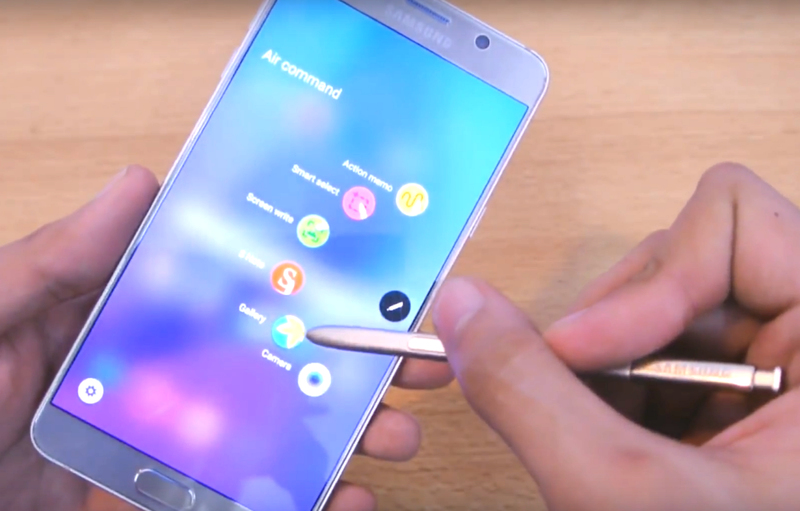 If you use the S Pen at sharp angles on the screen, the device may not recognise the S Pen actions. Do not bend or apply excessive pressure with the S Pen while using it. The Recents key and the Back key can be used with the S Pen. 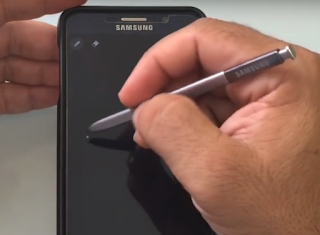 Use the S Pen Tutorial to create a note on your New Samsung Galaxy Note 7.